The Joy of parenting is amazing indeed. A part of it makes you feel wonderfully blessed and the other part is refereeing a Guerrilla warfare. This is especially applicable when you have more than one kids. I come home from work thinking all the way planning what to do next for my kids at home waiting for me, to find, my house in utter chaos! My three boys are in fighting mood and no one wants to give up. Even the toddler down there is trying to wrestle his way punching and hitting whoever he can. Have you ever come across similar instances? Well I did and I do regularly and that is the reason I have decided to share my experience and ways to handle such a situation. There is moreover a great twist to this story. Your own kids think you are biased. And you get bombarded from all sides. In my case I get bombarded from three sides as all my three boys I am biased against any one of them. So every day I almost panic if my kids are alone in the house by themselves. My home becomes a battlefield as soon as I leave them alone. Even when I am busy doing the household chores or cooking for the family I have to keep checking regularly if everything is okay. The picture shown below reminds me of my boys fighting. Well, no one is going to answer that for me so I started doing my little research in order to handle my chaotic situation at home. So here I am with my list of 10 preventive tips to stop the Guerrilla fighting amongst the kids at home! It is the advice of many experts nowadays to stay away from sibling rivalry and fighting. 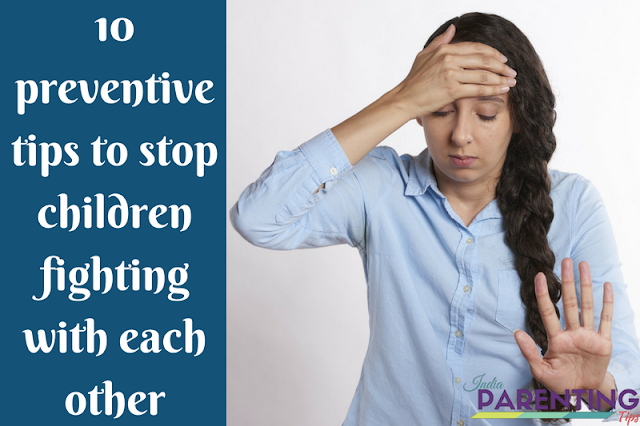 It is generally perceived that if you interfere too much between children fighting and accidentally take the side of one child as a judge the relationship amongst the children become more strained and damaged. You can check my article on Helicopter parenting for more details in order to understand the damage we might cause to our children by constantly monitoring them giving them no space to experiment. That being said, let me tell you that sometimes interference might be indeed absolutely and urgently necessary. According to me, this is a subjective phenomenon and I feel children fights are often taken too lightly when actually it deserves our attention depending on the intensity of the fight. For an example according to research done by Hashim Ahmed from the University of Technology MARA, in Malaysia sibling rivalries have taken a dangerous turn which even leads to fatalities. (Hashim,2016) Hence I feel parents should know when and how to interfere. We need to know when to take a back step and let them solve out their problems and when our interference is absolutely necessary. For this first and foremost thing, we got to do is a close observation of the children in secrecy. Further parents need to develop leadership qualities and act as one unit. Often children know the tricks to play with their parents when they differ in views and get their way out. Also, read the article on Helicopter parenting. Parents know their children well. 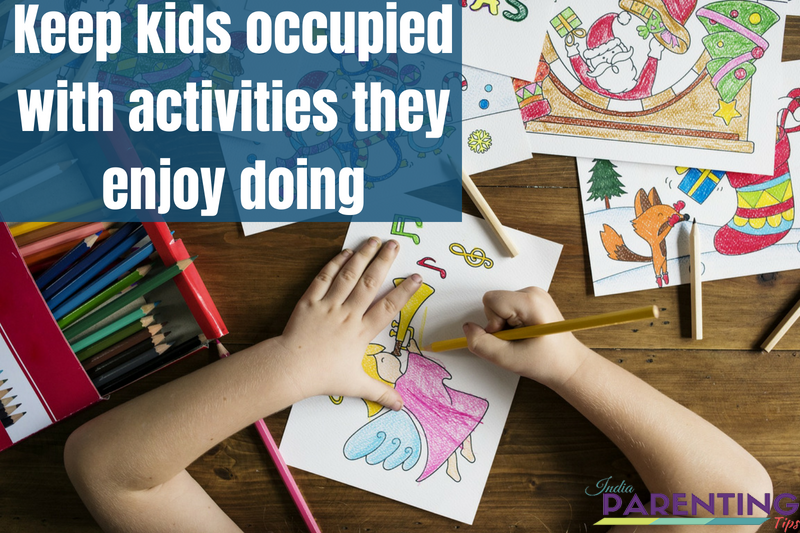 I assume this fact and under this assumption, I can say that as a mother or father we know which child is interested in what kind of activities. I have 3 boys and each one has their own choices. When I leave them alone at home I always make sure that each has their own interest tool handy with them. Now by interest tool, I am not promoting overuse of laptops, cell phones, tablets or all any other gadgets though limited and controlled use is okay for me. Ensure that you have activity based games around for your children that can exhaust them physically and keep them busy. The next time that you go out to a mall check out some offline activity games for your children. Reading a book is another option. If any of your children like to read, get them books that they can enjoy based on their interest. If they like spaceship do not buy a Cinderella book for God’s sake. Choose kinds of stuff that interests them and it varies from child to child. Make sure to get separate pieces of stuff for each child so that they do not end up getting another issue to fight. Children need challenges. They love doing things that are forbidden. Adolescent children moreover love to break the rules and be a trendsetter. They have tremendous energy potential and unimaginable skills that need to be identified to be developed. Critical thinking and problem-solving techniques are skills that need to be developed in children over time. I have discussed in depth about critical thinking in my previous article which you go ahead and read to know more. One problem-solving technique that I often use while dealing with my children is taking one step at a time to solve each and every issue. Do not accumulate problems and issues and make it so heavy that you cannot handle it. 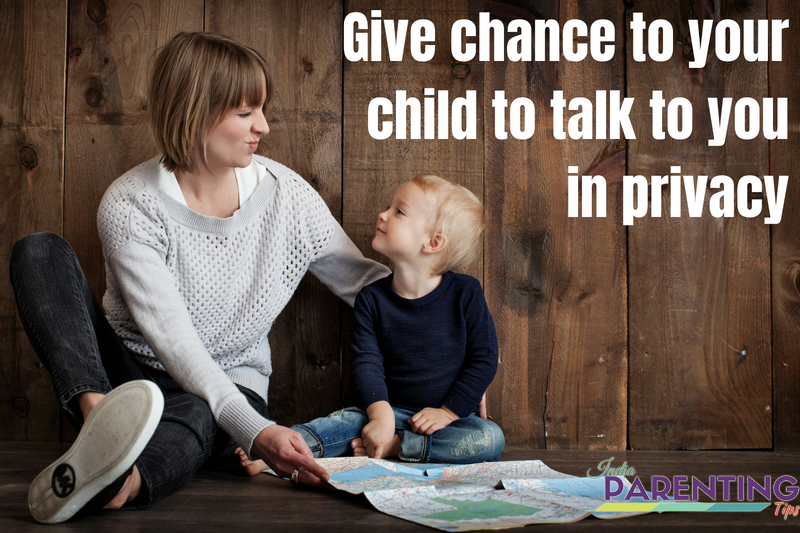 Teach your child to deal with each specific issues one at a time. For Example, if he or she has a problem with his or her brother or sister regarding a particular issue be it sitting on a particular chair or playing with a particular toy, make sure that you teach your child to deal with that issue separately without talking about any other issues. Ask him or her what he or thinks is a better way out apart from fighting. Teach him or her that fools fight because they don’t know how to deal with it. Also, read the article on Critical thinking. Rules are good when they are set within limits. Rules in the house teach children to be more disciplined and well mannered. It is always a good idea to make a list of rules in the house and discuss with your kids about it. Once the rules are made it needs to be followed without any excuse. However, make sure that you make simple rules for the children to follow. No one has the right to physically hurt another person. Using bad language when angry will be fined. Lying and bullying your sibling. Practice what you preach. This is an age-old proverb which is absolutely true when it comes to training or teaching kids. Children learn from your actions and not from your words. What they see they learn and internalize things like a recorder without you even realizing that. Example, if you teach your child anger management, first you need to control your temper and stop yelling at them whenever you get mad at them. Only when you stop your bad demonstrations of manners and behaviors would your child stop his or her attitude. Work, family, and commitments give us stress and anxiety. Managing kids is not a child’s play. So there might be times when you lose control and just blast out your frustrations. In this situation, you need to ensure that you vent out your stress in the right environment where kids not get impacted. Example: It could be an evening walk with your spouse or partner. It could be a day’s out with your school or college friends. It could also be a party with close friends. Whatever way out you may find easy to go with, you are free to choose anything just to make sure that you set a good example before your children. You are like a celebrity for them and they would always end up trying to be more like you. If you are at your best behavior and attitude, they would learn the same from you. When children fight they hurt each other mentally as well as physically. The physical hurt can be threatening and scary but mostly its pain goes away after some time. However, the mental hurt and disappointments be it being bullied or mocked or belittled has a deeper impact on the child’s psychology. 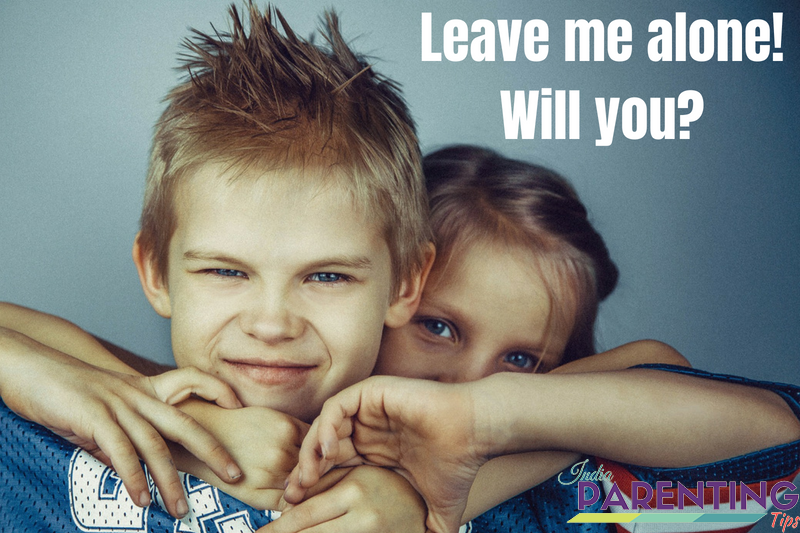 In this situation, you need to make sure that you absorb the child’s anxiety, frustration, stress simply by listening to him and her empathizing him or her that you really understand what h or she is going through. Ensure that you hear them out separately but do not encourage complaining against one another. 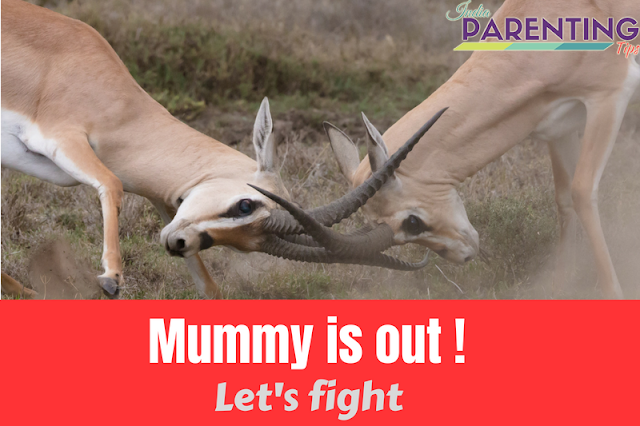 When parents have more than one kids, fights are inevitable and surely willingly or unwillingly to end up being the match referee. However, the referee is never biased and never brand and label individuals. Labeling means branding someone whose behavior is different from the norm and is not acceptable. According to research on deviant behavior, it is evident that more a person is labeled to be deviant, the greater are the chances to be more deviant as a result of labeling. (Becker 1963; Lemert;1951) This is a part of the Sequential model. You need to make sure that you stop labeling your children that he or she is always like this or he or she is always creating problems. Do not brand them as the troublemaker, the most mischievous, the jealous cat, the greedy fox and so on. This morally and emotionally breaks them down and they might lose their self-confidence. Respect is something which is very much essential amongst every human relationship. You can survive without love but not without respect. Therefore, make sure that you respect your kids and teach them to respect others as well. This also includes their siblings with whom they fight. One very important way to show respect is to maintain privacy and talk to the children separately alone so that he or she can speak his or her heart out. Give them chance to prove themselves to you before you jump to any conclusion. Each should get a fair chance to speak out. Parents often highlight the problems and negative qualities of their children without acknowledging the positive behavior or traits. If a child has one bad quality like for example a scatterbrain, that becomes the main topic of discussion. That same child might have a big heart to share with his or her siblings. He or she could be a good listener and many more. Harping of negatives does not bring positive outcomes. The mathematical formula of two negatives to turn to positive does not apply to hear. Make sure that you appreciate your child genuinely when he or she does anything good. That encourages the child to do more good. As William James, a well-known American psychologist and philosopher have said, one of “the deepest principle of human nature is a craving to be appreciated.” This is absolutely true. We can use this craving of the children to bring out positive output while dealing with situations when they fight with each other. For example, in case you have more than one kids and they differ, your behavior towards both of them in the matter of acknowledging and accepting their goodness should remain the same. That would reduce sibling rivalry and promote healthier family atmosphere. When rivalry and competition amongst kids are reduced, they would eventually heart to co-habit and reduce fights. Emotional Intelligence is a great way to reduce fights amongst children. It is because when a child develops skills EQ skills he is able to appreciate the other person’s point of view. He develops an attitude of understanding and accepting difference amongst them as healthy and good. This would reduce fights amongst children with each other. If you want to know more about Emotional Intelligence and how to develop emotional Intelligence in your child, please check out the article that I have written in this blog. I hope, I could provide some tips to stop children fighting with each other. One important thing that I would like to remind here is that do not expect results overnight. Things take time but you need to be consistent and never give up on your children. Consistency and patience play a key role to handle situations when children fight with each other. You need to be consistent in following the above tips that I have discussed in this article and patient enough to give an adequate amount of time for things to settle down. Also, read the article on Emotional Intelligence. 1. Hashim, Gy & Ahmad, Hashim. (2016). Family Environment, Sibling Relationship, and Rivalry towards Quality of Life. Environment-Behaviour Proceedings Journal. 1. 10.21834/e-bpj.v1i3.300. 3. Lemert, E. (1951). Primary and secondary deviation. In Pontell, H. N. (2nd ed.). Social Deviance: Readings in theory and research (pp. 64 – 67). New Jersey: Prentice Hall. Parenting is a mixed bag full of different emotions, experiences full of hurdles, surprises as well as a haven of unconditional love and affection. The journey of learning with kids never ends no matter what ages they are. What is an Emotional Abuse | How to identify Child Emotional Abuse & your role to stop it. Parenting is a mixed bag full of different emotions, experiences full of hurdles, surprises as well as a haven of unconditional love and affection..